Let us make your next event the most talked about one ever! 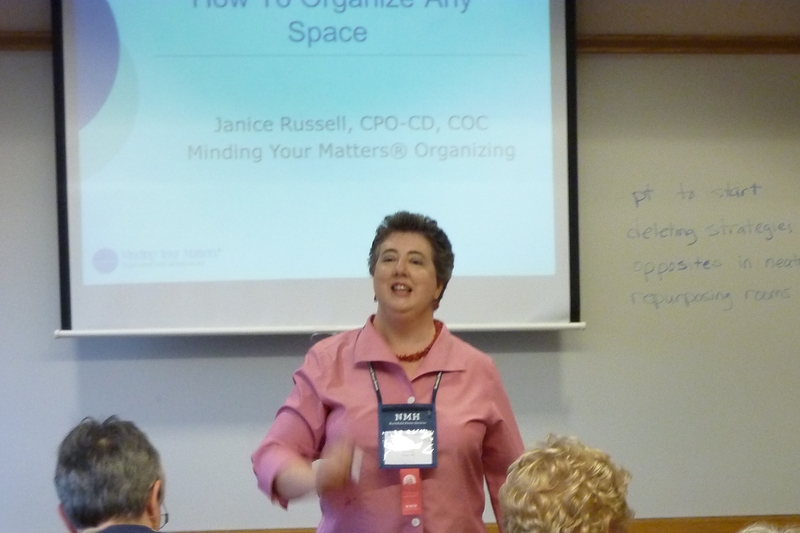 Janice combines the fundamentals of organizing with the unique needs of each audience to create content-packed seminars. While programs are customized to meet the specific needs of each group, presentations fall into one of three main categories: Time, Workplace Productivity, and Household Management. From her first speech contest in middle school to a six-hour training at a U.S. Air Force Base, she has used real-life examples with a bit of humor to convey practical information. Let us make your next event the most talked about one ever! Janice has delivered tailored talks on organization for a variety of groups, from small businesses to large corporations, in a range of industries including financial, health, technology, and real estate. Janice’s practical and caring approach to productivity and organizing is the basis of her high-content live workshops and webinars. While programs are customized to meet the specific needs of each group, presentations fall into one of three main categories: Time, Workplace Productivity, and Household Management. Overwhelmed by the information of life? 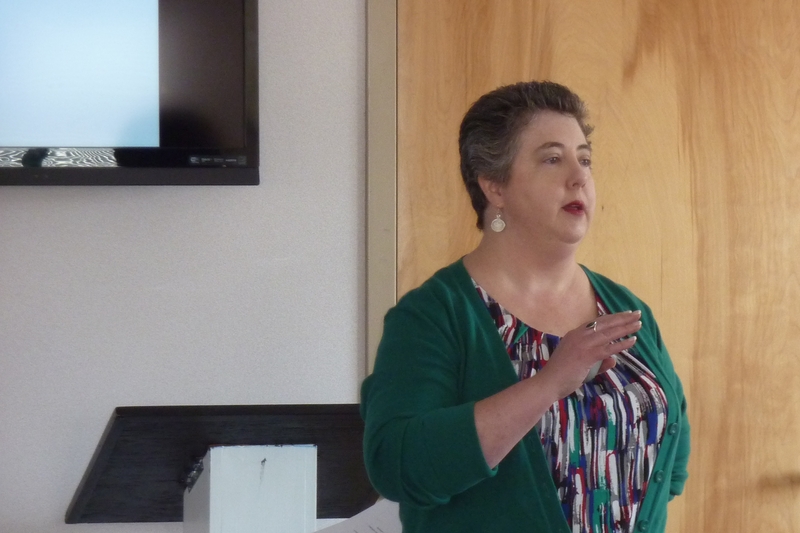 Janice’s presentations help people transform the chaos in their space or schedule into calmness. 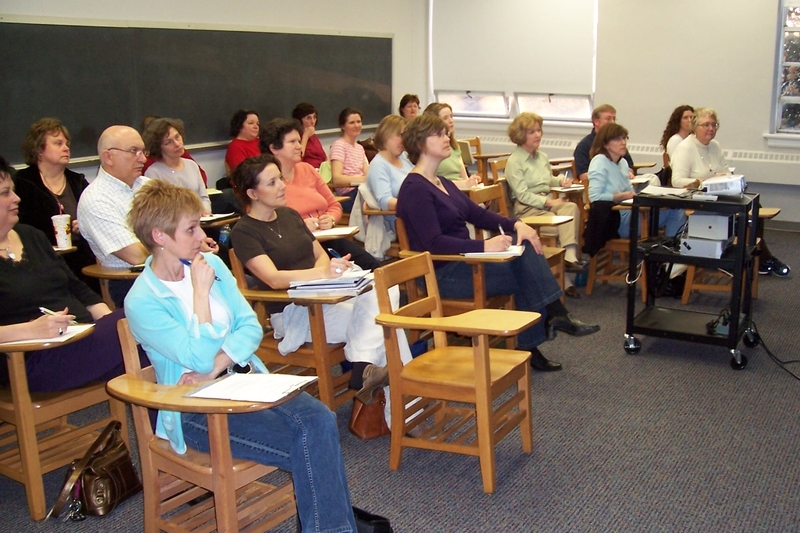 Janice is available to speak throughout the United States, Canada, and Europe, including Atlanta, Boston, Calgary, Chicago, Denver, London, New York City, Montreal, Ontario, Paris, Philadelphia, Phoenix, Portland (OR), Salt Lake City, San Francisco, St. Louis, Seattle, Vancouver, Washington, D.C., and the Triangle area of North Carolina (including Apex, Cary, Chapel Hill, Durham, Fayetteville, Morrisville, and Raleigh). By using this site, you agree to the Terms and Conditions associated with Bring Order To and its parent company, Minding Your Matters®, Inc. © 2010-2017, Minding Your Matters®. All rights reserved.